This welcoming hotel was completely renovated in 2003. 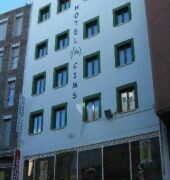 The hotel comprises 41 rooms spread over 7 floors. Guests are welcomed in the foyer with 24-hour reception desk, safe and lift. 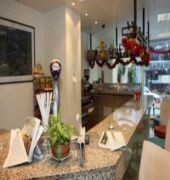 Additionally, various shops, a hairdresser's salon, bar, games room, TV room and an air-conditioned a la carte restaurant (with non-smoking area) are also available to guests. Furthermore, a children's playground is on offer for younger guests. Guests arriving by car may use car parking and garage facilities. The laundry service completes the facilities offered.